Over a decade into this music writing thing and I still get a massive buzz receiving albums I’m excited about hearing ahead of release. Mostly because like many other music fans, I get impatient and overhyped with anticipation. And then… well, what then? When a work is so rich and resonant, and communicates on a level which transcends words. Describing not sound, but sensation is more than a challenge, especially when that sensation is overwhelming. 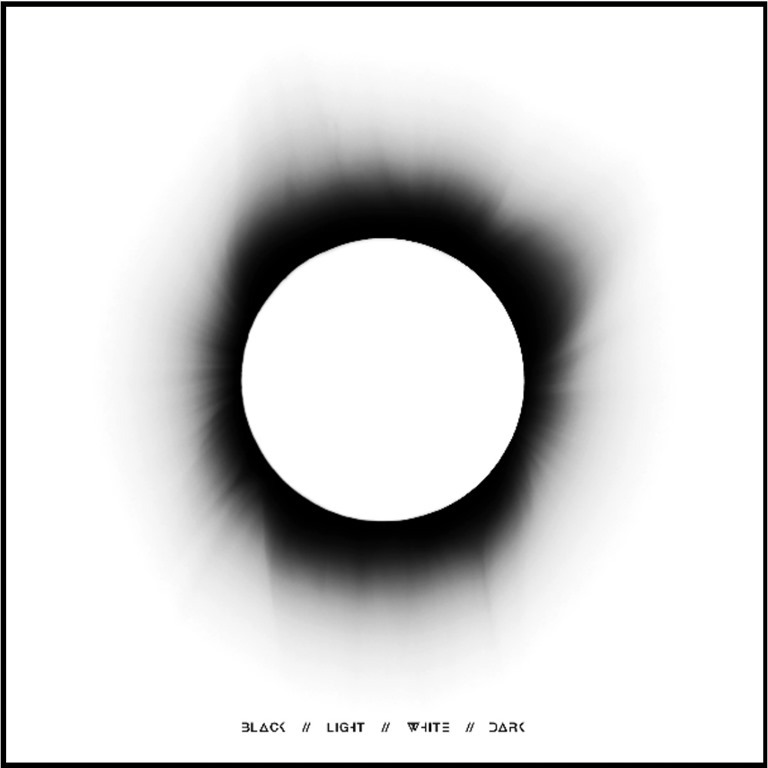 Single release ‘Sabbath’ gave me something of an Evi Vine rush and raiding the back catalogue only amplified my anticipation for BLACK//LIGHT//WHITE//DARK, and never mind the suspense, it’s a belter. No doubt much will be made of the roll-call of contributors, including The Cure’s Simon Gallup on bass and Peter Yates of Fields of the Nephilim on guitar, but the songs ultimately speaks for themselves here. A mere six songs, yes, but when the first is a slow-burning behemoth that treads the delicate line walked by Chelsea Wolfe, it’s immediately apparent that these are songs of a rare intensity. 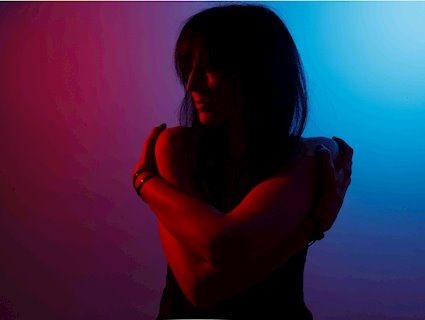 ‘I Am the Waves’ explores brooding, hushed and downright downbeat passages which glide into deep, immersive washes with serpentine guitar lines snaking around trepidacious drums and haunting, fragile vocals. ‘Afterlight’ ups the tempo and the tension, rolling drums and extraneous electronics creating a dense swell of sound. Evi sounds twitchy, anxious, her voice adrift in multidirectional reverb. The atmosphere is fractured and strained: you don’t just listen to this, you feel it. BLACK//LIGHT//WHITE//DARK leads the listener to some dark places, but then a function of the most powerful art is often to challenge, to affect, rather than to simply exist and entertain. The sprawling yet elegantly-poised nine-minute ‘Sabbath’ is still a standout, its contrasting passages of fragility and crushing weight the perfect counterpoint to one another. It drives and surges, on and on, a dense, textured wall of sound that’s completely immersive. Its only shortcoming is that it is, well, just too short. ‘My Only Son’ presents a more minimal aspect, a delicate piano providing the primary accompaniment to wistful, reflective lyrics. It’s well-placed, bringing things down a notch – but the incidental strings and voices bring contrast and discord, meaning it’s never an option to really settle into a sense of relaxation and comfort, and the low-rumbling electronics which open ‘We Are Made of Stars’ deepen the unsettling atmosphere. Stretching out to forge a suffocating dark ambience, voices whisper hauntingly in the distance, before the eleven-and-a-half-minute finale, ‘Sad Song No. 9’ dredges every last ounce of aching beauty from the deepest melancholy. And when the bass booms in and the guitars kick in, it soars majestically. It’s a perfect conclusion to an album worthy of the word masterpiece.